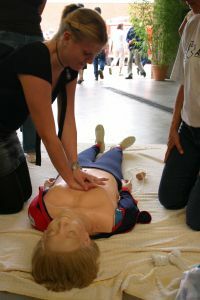 CPR, or cardiopulmonary resuscitation, is one of the most common lifesaving techniques used during a heart attack. This is a basic method of keeping oxygen delivered to the body when the heart isn't able to pump blood because it has stopped working. Over the years the recommendations for CPR have changed as scientists have gained a greater understanding of what helps to keep the body alive longer. 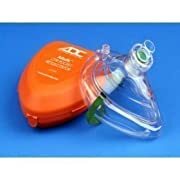 In 2005, a major change was introduced that changed the recommended compressions to breaths ratio. A recent study shows that this change has saved thousands of lives. 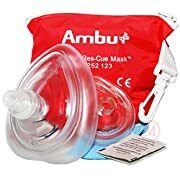 CPR is a combination of chest compressions that help to pump blood throughout the body and rescue breathing that puts oxygen into the lungs. Combined, they mimic the normal function of the heart and lungs. However, CPR doesn't work as efficiently as the actual cardiovascular system. The purpose of CPR is not to restart the heart. The only way the heart can really be restarted is through the use of electrical activity. 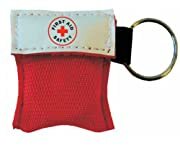 However, CPR can help to the tissues of the body alive while you are waiting for emergency response to arrive on the scene. Once they get to the scene they may instruct you to continue providing CPR until they have the equipment in place to take over for you. Then they can use a defibrillator to help restart the heart. In order to perform CPR, you must be trained by a certified professional. This is because if CPR is performed incorrectly, it can do more harm than good. It's also important to know when to perform CPR and when to choose another method of first aid. CPR is something that should only be done under the right circumstances because it can harm if it isn't. Even when CPR is done correctly it can cause broken ribs and injury. 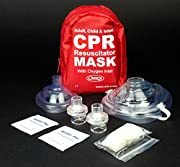 So, while CPR is an important lifesaving technique, it's one to be used wisely. There are many places where you can be trained in CPR. The two most common are with the American Heart Association or the American Red Cross. Both of these organizations offer training to perform CPR. You can also call your local hospitals and health clinics to see if they offer CPR classes. Once you become certified in CPR, you'll need to take refresher courses to keep your certification. These courses allow you to practice your skills and find out about new information regarding compressions and techniques. Knowing CPR can give you peace of mind knowing that you can handle a heart emergency. It’s much better to keep yourself from developing heart disease than to try to keep it from getting worse later. Continue to research here to learn more about how to have healthy heart tips for your lifetime fitness and health. If you found this article helpful to you, please share it on your favourite social network platforms! And if you would like to add your own page on this site with your experiences and suggestions for healthy heart tips, just click the COMMENT link below and the submission box will open up for you.